Nose: Luminous old gold amber robe. Nose: Deep & majestic. A profusion of fruits and stewed vegetables, variety of peppers, indian spice, hint of acid drops, grape seeds, smoke, rare exotic wood, rosewood, cedar, and musk. The Raymond Ragnaud Tres Vieille Grande Champagne Cognac is a rare, noble eau-de-vie, the result of a single vintage from 1952. As the name suggests, this is the product of the premier cru of the region - Grande Champagne. And it certainly represents everything that makes this growing region the most sought after. Enjoy the deights of a powerful, intense, yet perfectly balanced Cognac. At 42°, this is Cognac as nature intended. The delights don't stop at the taste - even the presentation of the Cognac is something special. The stylish, classic decanter is housed in a majestic presentation box. Truly one for the connoiseur or for those who treasure fine things. 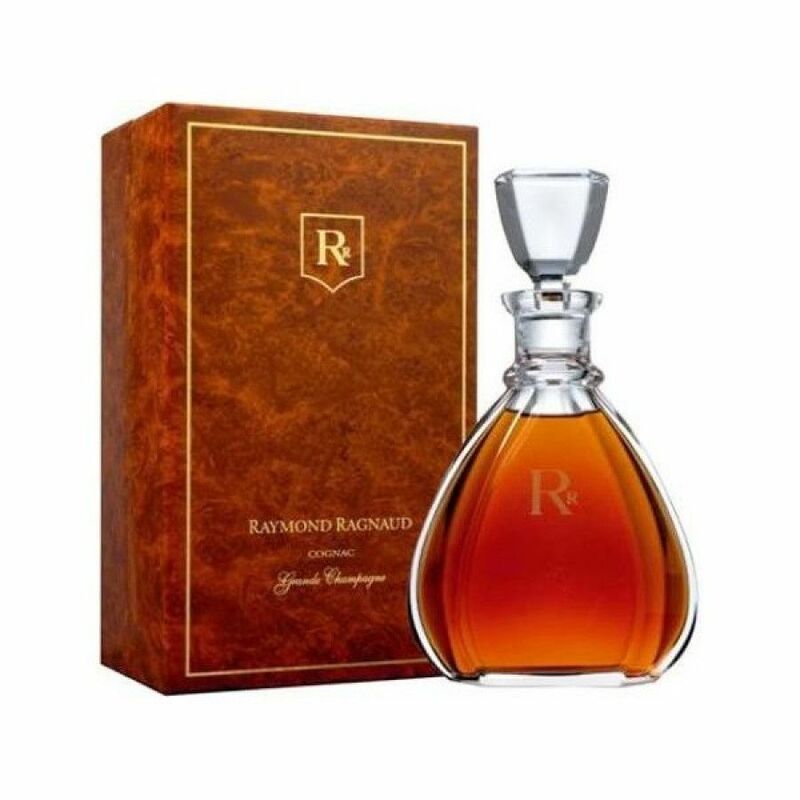 Please check out our Raymond Ragnaud Très Vieille Grande Champagne classic bottle Cognac.